Living on the border of Italy and Switzerland has a few advantages. For one, north of the border, we get the benefit of having a country run by a competent set of individuals, low tax rates, great infrastructure, and streetlights that are actually turned on at night. Because we are a few minutes from driving into Italy, we can easily pop out and grab some quality pizza and pasta, and do our food shopping at much lower Italian prices. Then there's the proximity to some very cool cars. The Italians love their cars, and the government are pretty loose with the rules when it comes to modifying cars driven on public roads. Making changes to cars here in Switzerland is extremely difficult, requiring all sorts of paperwork and independent certification for even the slightest deviations from factory specification. The Italians give owners that leeway to modify though, and while most miss the mark in terms of improving on the original, some enthusiasts go to great lengths to create something that looks great and is highly functional. So when I caught wind of a heavily modified Fiat 500 down in Torino, I knew I had to investigate. This was only perhaps my third automotive shoot (I had decided to get back into photography when the sub started to grow into something cool) and I had hoped to find an interesting location to suit the car. 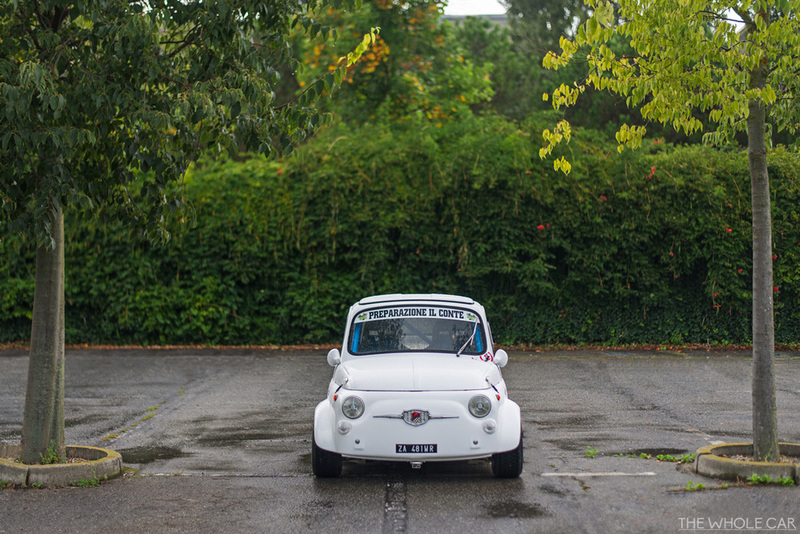 I met the owner of this little monster, Flavio Contin, outside Torino near his home and we bounced some ideas off each other, and one clearly stood out - The Fiat Factory itself. Now, really, I was just hoping for something recognisable for the background to tie it in, and seeing as we were so close, we gave it a crack. Didn't work. Didn't make it past the front gate (employees only), and with dark clouds threatening to drench us at any moment, we had to get things done and get out of there. So we shot in the car park outside the factory - you can't tell of course, but damn it, it's going on the record! So it was a quick shoot, as the album shows, we didn't manage to stay dry, but we got some nice images that show off Flavio's creation, and what a little gem it is. His Fiat 500 was already a bit special - with the "Giannini" model being developed by a renown tuner of Fiat cars at the time for greater performance (the company still lives on as part of the current Fiat group). Throughout the 60's and well into the 70's, Giannini cars would battle with those of their rival Abarth on racetracks across Europe. 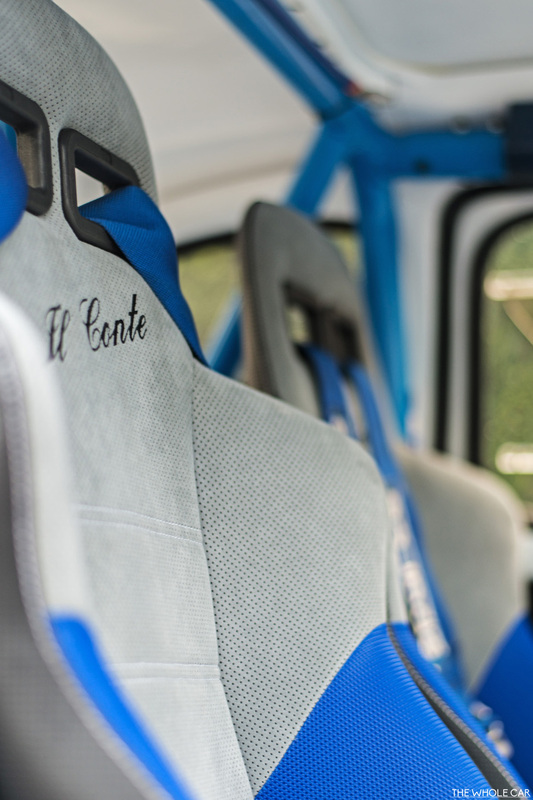 A keen amateur racer himself, Flavio respected the history of the car, and thanks to a great deal of knowledge of the model, he was able to start a small business creating "Contin" versions - taking the charm of the classic design and turning it into a genuine fire-breather. 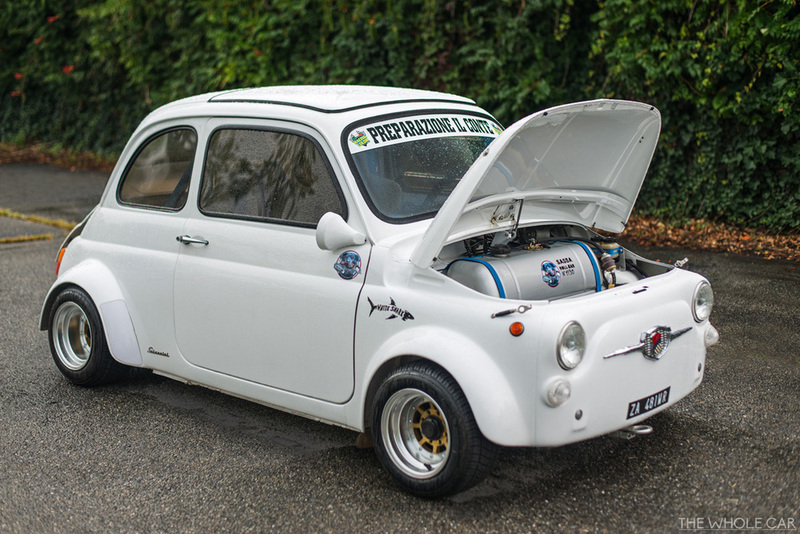 Flavio competes (and obtains many respectable results in the 700cc class) in slalom races across Northern Italy, and he completely overhauled the car with this specific goal in mind which explains a few of the more extreme choices. Starting with the engine, he took the original 495cc unit (producing 18hp at 4500rpm) and modified it to it's current state - 700cc and an astonishing 62hp at 8500rpm. Details are imprecise (sadly I'm not fluent in Italian so it's a bit tricky with google translate) but the highlights are the larger valves, Weber carburetor (45 DCOE unit from an Alfa Romeo), a personally designed camshaft profile, reinforced clutch, and a larger oil sump and oil cooler. Great care has been given to the balance of the car. In addition to the huge power bump, the car is completely stripped of unnessecary weight - all the way down to 498kg (1098lbs) - and the suspension reinforced and calibrated to work perfectly with his competition steering linkage and Formula-One-stlye Monodado wheels. Covered in sticky 195/50/10 tyres, they required the dramatic little wheel arches you see now, widened to 1480mm at the front and 1430mm at the rear. The interior doesn't disappoint either. Custom bucket seats with full 4-point harnesses, tachometer, oil press oil temp, fuel level, voltmeter and that gorgeous blue roll cage. 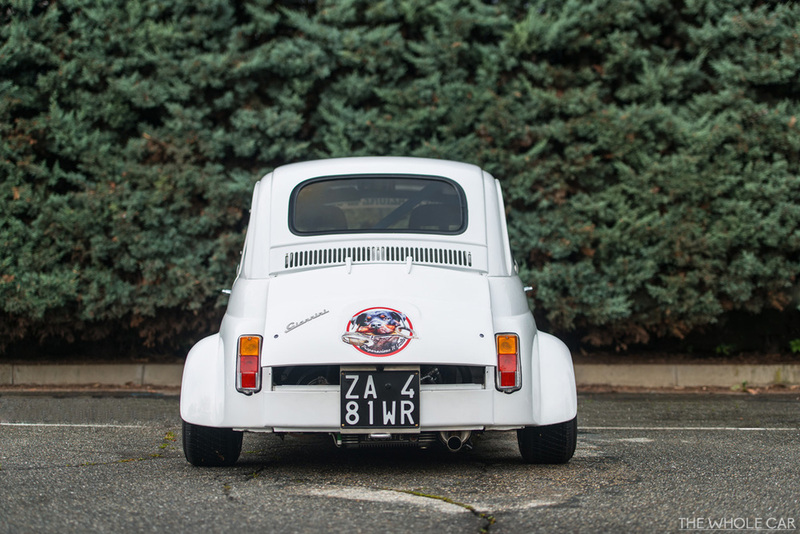 As a whole, it is a remarkable car and truly an impressive effort from a man that has dedicated his life to enjoying Fiat 500's and taking their performance to the limit.